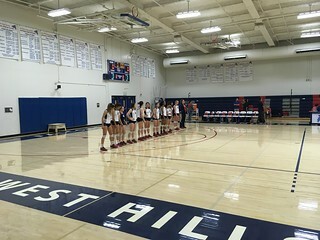 Our volleyball girls played an intense 5 round match on November 2 against the competitive Cerro Coso College. Our girls won the first match with a score of 25 to 17, but lost the next two matches. Both were a close game with scores of 21 to 25. They came back in the fourth round with another close game with a score of 25 to 22, and took the win in the final round with a score of 15 to 9. Great game ladies! If you missed their last game, you won’t want to miss their next!